On December 12th 1995 Oasis' appearance at MTV's Ultimate Winter Vacation in Colorado, USA was broadcast. Watch 'Wonderwall' & 'Don't Look Back In Anger' in the link below. 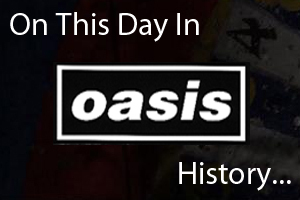 On December 12th 2008 Oasis played at the Allstate Arena in Chicago, USA.